Desc: 14kt. yellow gold plated bracelet with rectangular links. 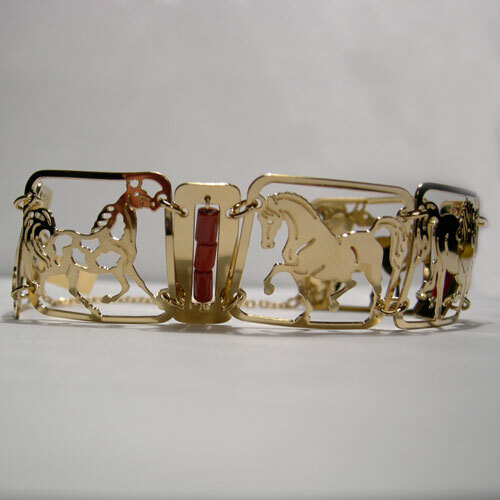 Each link depicts a different breed of horse. Two spacers evenly placed apart contain Jasper beads. The bracelet has a tongue and slot clasp and a safety chain. Also available in Rhodium plating (contact us for details).